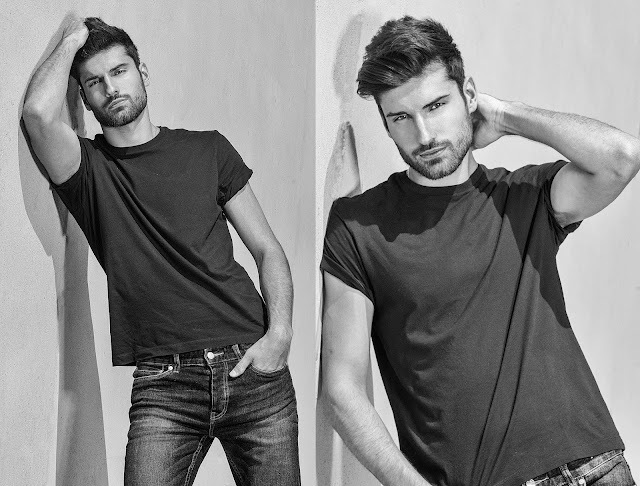 Former top male model and one of the original co-founders of Rag & Bone, Nathan Bogle launched his new menswear label called Jardine in Spring 2013. 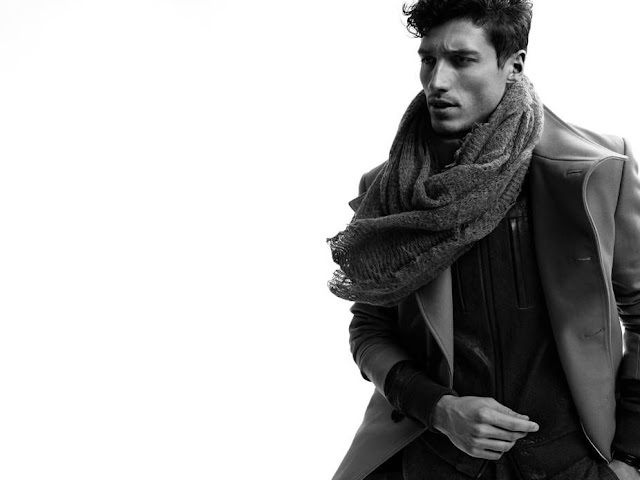 Now here’s a preview of the Jardine fall 2013 collection. Here are some of the photos from the Cannes Film Festival. CANNES, FRANCE - MAY 16: Actors Frederic Pierrot, Geraldine Pailhas, director Francois Ozon, actors Marine Vactha and Fantin Ravat attend "Jeune & Jolie" Premiere during the 66th Annual Cannes Film Festival at Grand Theatre Lumiere on May 16, 2013 in Cannes, France. Actors Fantin Ravat, Marine Vactha, director Francois Ozon, Geraldine Pailhas and Frederic Pierrot attend "Jeune & Jolie" Premiere during the 66th Annual Cannes Film Festival at Grand Theatre Lumiere on May 16, 2013 in Cannes, France. The great Madame Coco herself once said, “Women think of all colors except the absence of color. I have said that black has it all. White too. Their beauty is absolute. It is the perfect harmony.” This quote is slowly coming to life this year, and when fall 2013 rolls around it will become all we see! Embrace the black and white ladies and gentlemen because there is no running from it! The current trend with black and white comes in checkered form. All over every city, the fashionistas are reaching out for their most unique twist on checkered fashion! I am yet to fully grasp this trend, and the thing is that it is a really tricky one! if you pair checkered print with a bright, bold colour (that is also in season this year), you are literally killing two trends with one stone, and it is scary, please refrain from doing so. Don’t get me wrong, I am all about big, bold fashion statements, but this trend done wrong can literally make you look like an optical illusion! I have seen it, and it does not look fabulous in any way, it makes you trigger headaches among populations everywhere you go! This print is also a tough one to wear simply because of the bodily illusion it gives. 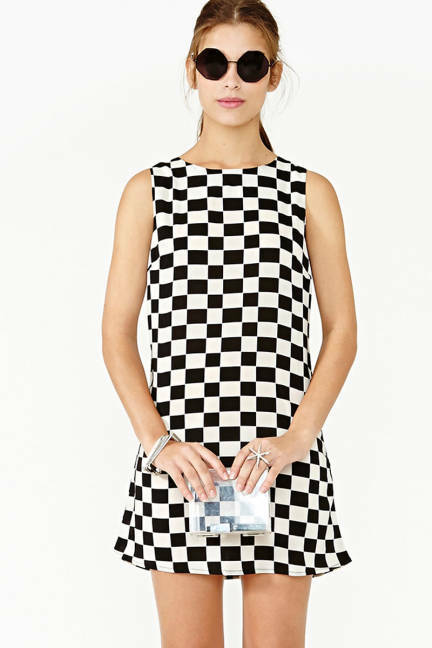 Checkered print makes the body look a lot larger than it is. It gives off a broader image of someone because it draws your view horizontally instead of vertically. If you are looking to stay with the black and white trend in give your body a slimmer look, then using the thinner vertical line prints would be a much better option for you. Another option here is to add this print to your look in a more minor way. Getting checkered shoes, or a checkered belt, scarf or accessory could help you pull together this look in a more subtle way. However if you make this decision you must be very careful with what your main outfit is. If your main outfit is a bright yellow fitted dress, I would not pair it with a checkered belt for a slimming illusion. wearing a little black dress with a checkered belt or opting for a fitted maroon dress with a checkered shoe addition are both great options for keeping in with the trend and changing it to flatter your body shape! Remember that trends are great to follow, but if you feel uncomfortable in a trend, it will show in your look, and trust me when i tell you this, uncomfortable is the worst look. I think that Marc Jacobs and Louis Vuitton are doing this look best so far. Louis who has stealthy done their trademark checkered print for a couple years already is taking this trend on full force to take it as far as classy will allow them to. Marc, who is infamous for testing boundaries is also have a ball with the checkers, and in my opinion, the risks he has taken so far have paid off quite well! He has played the pieces so daring and absurd that they look amazing! Overall, the checker print is a great look. Some people are jumping into this trend head first, while others are merely dipping their toes in. I think the latter is taking the right approach because if we do this look hard for the next three seasons we are going to get extremely sick of it. But if we pace ourselves and slowly immerse we can fall in love with it as it begins to explode. Styling is the most important aspect of this trend, style well and you will be a trendsetter to watch for, style it wrong but you will be a trendkiller, a title that is hard to shake off with a look this bold. Once in a while Karl Lagerfeld shows some small limited pieces of menswear for his Chanel collection. Here is the menswear from the Chanel Resort 2014 that was held in Singapore and modeled by the usual Chanel gang: Brad Kroenig, Jake Davies, Robinson Fyot, and Sebastien Jondieau. Here's the short fashion film directed Karl Lagerfeld that was previewed at the Chanel Resort 2014 show held in Singapore starring Keira Knightley. If you are interested to get a taste in creating a conceptual piece of art in real-time and fashion campaign. Check out this spring-summer 2013 campaign for Y-3. 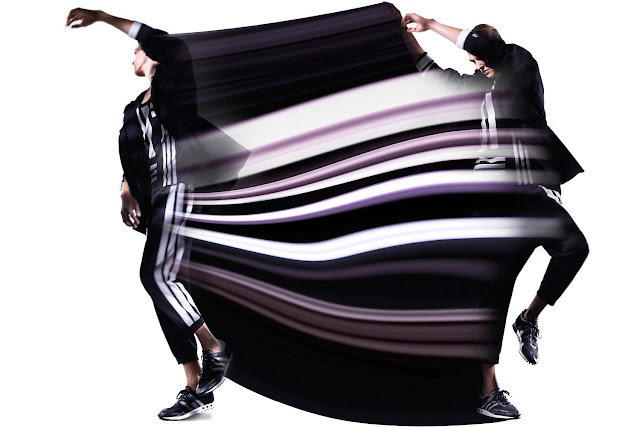 In 2013 adidas and Yohji Yamamoto celebrate ten years of Y-3, a collaboration based on seeming opposites combining adidas' sports technology and Yohji Yamamoto's design aesthetic. The communication campaign for Spring/Summer 2013 captures the essence of Y-3, led by photographer and director Pierre Debusschere, it explores the partnership of the opposed - the transmission of ideas from the two worlds of Japan and Germany. 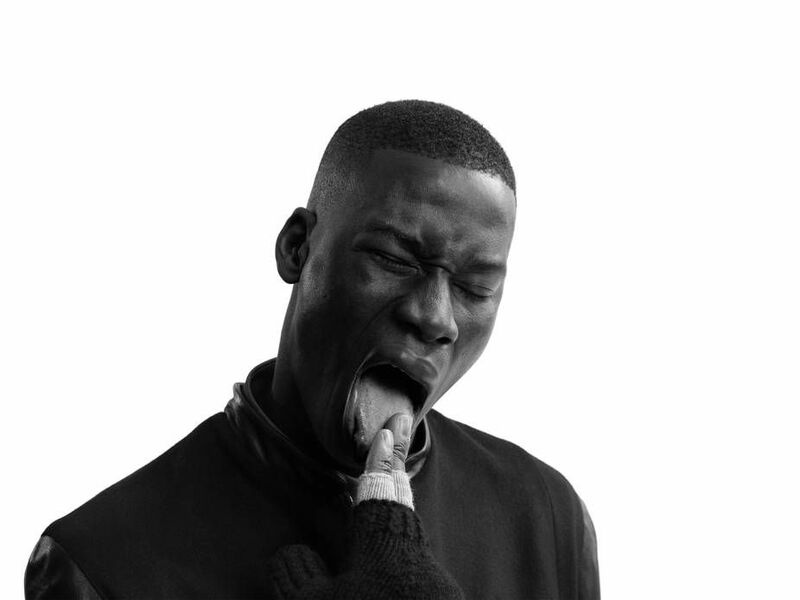 The accompanying campaign film is a study of movement, distortion and transformation. Through a cutting edge interactive online interface located on the Y-3 website, the user will be able to engage with the video content and through manipulation of sound and image will compose their own audio-visual piece of art in real-time. All at the fingertips of the composer, the film pieces are distorted and deconstructed, mirrored and stretched, echoed and multiplied in kaleidoscopic patterns. Simultaneously the ambient music transforms within the synthetic experience. Y-3 commissioned Tim Hecker, noted as one of the most preeminent figures currently making ambient music, to compose an original work exclusively for the Spring/Summer 2013 interactive video. By incorporating the audio-visual arrangements ACNE, Y-3's digital lead agency, conceptualized and crafted responsive, dynamic effects and created the full experience. While choosing the film clips and experimenting with the audio-visual effects the composition can be recorded and shared online. The result is always unique and unexpected. I have been dancing to this song for almost every night since it was launched. Here’s R&B singer Robin Thicke’s song “Blurred Lines” featuring hip-hop superstars Pharell Williams and T.I. The dirty version was banned by YouTube by being too provocative, which I kind of understand the reason. But the dirty version is just so much fun to watch. They also made a clean version. The song sampled Marvin Gaye’s “Got to Give It Up”. The opening bass line and the multi layered harmonies and made “Blurred Lines” a very interesting and suave song. Labels: MUSIC, ROBIN THICKE.PHARELL WILLIAMS, SOUNDTRACK OF THE DAY, T.I. 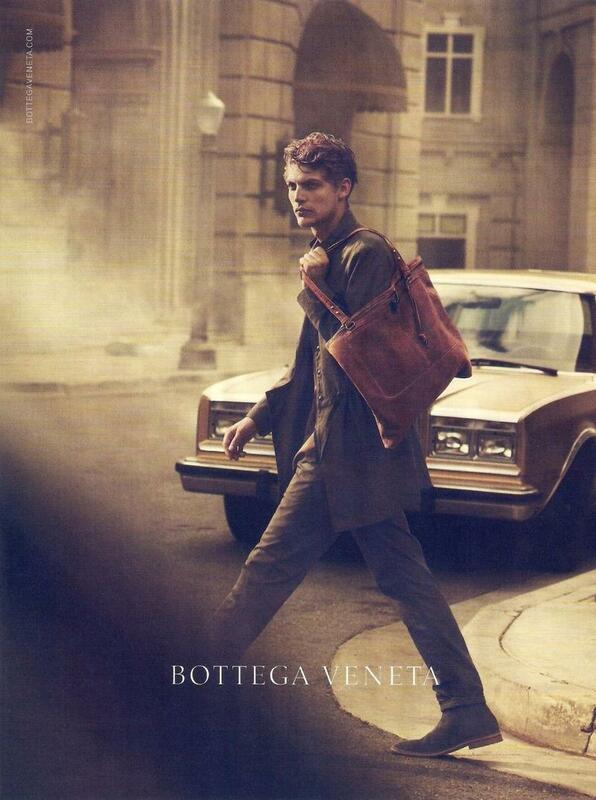 BOTTEGA VENETA SPRING-SUMMER 2013 CAMPAIGN WITH PETER LINDBERGH- THE ART OF COLLABORATION. Legendary fashion photographer Peter Lindbergh collaborated with Bottega Veneta’s Creative Director Tomas Maier for the brand's spring-summer 2013 campaign. The campaign captures the minimalism and individuality of the collection. Peter Lindbergh went back to the look and feel of early cinema for the campaign. According to the luxury house, Bottega Veneta, Peter was a natural choice for the Spring/Summer 2013 campaign because of the deep curiosity and genuine humanity the photographer brings to his work. From his birth certificate to the final words written by the great Danish philosopher. The Royal Library in Copenhagen celebrates the 200th anniversary of Søren Kierkegaard with an exhibition that brings the audience close to the moment of creation; to the point where Søren Kierkegaard put pen to paper and created the ideas that to this day inspire, provoke and puzzle readers around the world. Psychological essayist, protestant theologian, and the father of existentialism - there are many reasons why Søren Kierkegaard is read and studied throughout the world. Thus his bicentennial is celebrated around the world, from Europe to South America, from the US to China, but the point of departure is Copenhagen. Søren Kierkegaard lived in the Danish capital and this is where his letters, diaries, manuscripts and notes are stored in a special archive which in 1997 was added to UNESCO's Memory of the World list. Now – for the first time ever, these unique papers can be seen in a spectacular anniversary exhibition at The Royal Library in Copenhagen. Behind 14 very tall doors are different aspects of the life and work of Søren Kierkegaard staged in creative tableaus. If you open the door to "My Regine" you will find a slightly warped version of a Copenhagen luxurious apartment. In this room a number of Kierkegaard's extremely literary letters to his fiancé, Regine Olsen, diary pages reflecting Kierkegaard's doubts about the relationship and finally - more than a decade after breaking off the engagement, the testament, in which Kierkegaard leaves all his belongings to her. Enter the room "The Corsair" and you will find yourself in a neon green space, where articles and drawings illustrate the bitter feud with the satirical magazine The Corsair, which led to a radicalization of Kierkegaard's religious writings. Apart from the unhappy and crucial engagement and the feud with The Corsair the exhibition display many aspects of Kierkegaard's short, but extremely productive life: the pseudonymous writings, where several layers of fictional voices discuss existential problems centered around the choice, anxiety, the leap, subjectivity and the paradoxical. 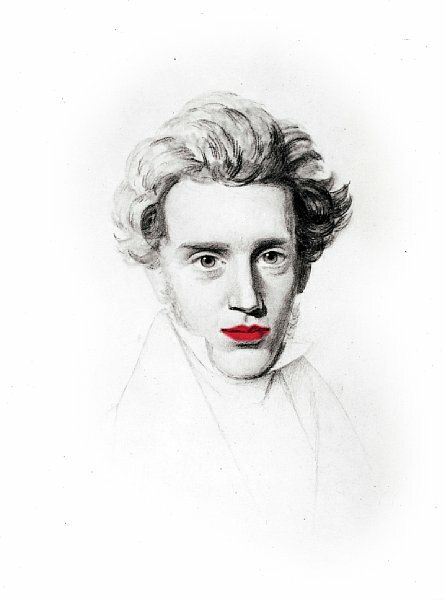 The authorship under his own name, where he establish his strict demands to being a faithful Christian - ideas that became the spark for the church feud, in which Kierkegaard personally confronted the Danish established church. A ten meter long display shows works from all over the world, testifying his far-reaching influence and legacy. The exhibition is for anybody interested in the life, work and working methods of Søren Kierkegaard – all the exhibition texts are available in English. 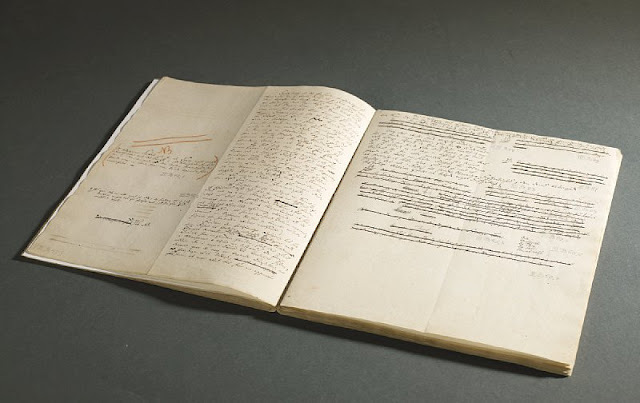 The only requirement is the ability to be fascinated by an imaginative journey through the original documents left by one of the world’s greatest thinkers. Monday-Saturday 10 am to 7 pm. Entrance 40 dkr.